As the cold weather months are quickly approaching, it is time for boaters in seasonal areas to begin winterizing their vessels. Whether your boat will spend the season in or out of the water, you can find some helpful tips for wintertime storage in this National Marine Underwriters (NMU) article. The United States Powerboat Show kicks off in Annapolis, Maryland on Thursday, October 15. If you are attending the three-day event, we invite you to visit with National Marine Underwriters’ (NMU) Patty Goodchild and Al Saunders. The NMU team will be exhibiting at booth AB5, near the Phillips Seafood restaurant. 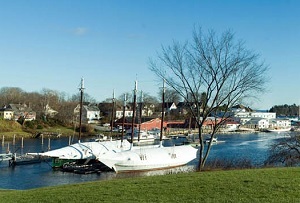 Now in its 44th year, the U.S. Powerboat Show gathers boaters from around the world to the historic Annapolis seaport. To learn more, visit the event website.